Sometimes it's necessary to start Windows in Safe Mode to properly troubleshoot a problem. Typically, you'd do this via the Startup Settings menu (Windows 10 and 8) or via the Advanced Boot Options menu (Windows 7, Vista, and XP). However, depending on the problem you're having, it might be easier to make Windows boot in Safe Mode automatically, without having to boot to one of the advanced startup menus, which isn't always an easy task. Follow the instructions below to configure Windows to reboot directly into Safe Mode by making changes in the System Configuration utility, usually referred to as MSConfig. This process works in Windows 10, Windows 8, Windows 7, Windows Vista, and Windows XP. You'll need to be able to start Windows normally to do this. If you can't, you'll need to start Safe Mode the old-fashioned way. See How to Start Windows in Safe Mode if you need help doing that. 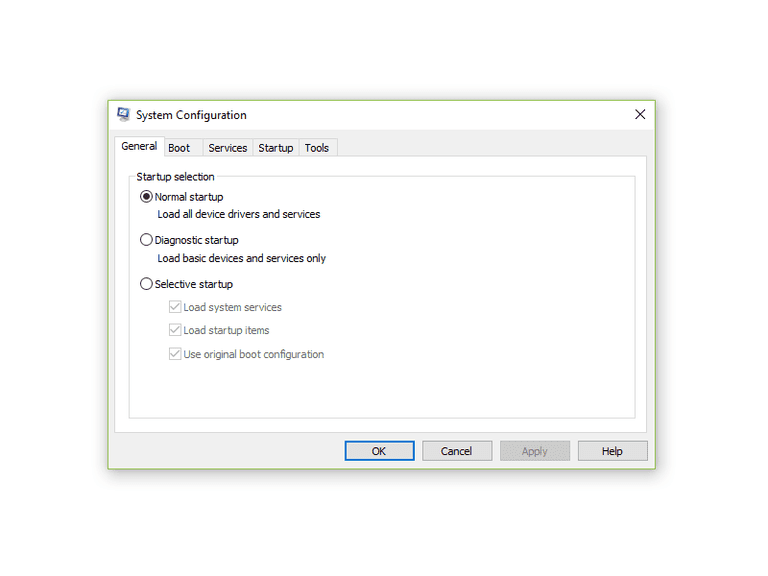 In Windows 10 and Windows 8, right-click or tap-and-hold on the Start button, and then choose Run. You can also start Run via the Power User Menu in Windows 10 and Windows 8, which you can bring up using the WIN+X shortcut. In Windows 7 and Windows Vista, click on the Start button. In Windows XP, click on Start and then click Run. Tap or click on the OK button, or press Enter. Do not make changes in the MSConfig tool other than those outlined here to avoid causing serious system issues. This utility controls a number of startup activities other than those involved with Safe Mode, so unless you're familiar with this tool, it's best to stick to what's outlined here. Click or tap on the Boot tab located at the top of the System Configuration window. Check the checkbox the left of Safe boot (/SAFEBOOT in Windows XP). See Safe Mode (What It Is and How to Use It) for more information on the various Safe Mode options. You will then be prompted to either Restart, which will restart your computer immediately, or Exit without restart, which will close the window and allow you to continue to use your computer, in which case you'll need to restart manually. After restarting, Windows will automatically boot in Safe Mode. Windows will continue to start in Safe Mode automatically until System Configuration is configured to again boot normally, which we'll do over the next several steps. If you'd prefer to continue to start Windows in Safe Mode automatically each time you reboot, for example, if you're troubleshooting a particularly nasty piece of malware, you can stop here. When your work in Safe Mode is complete, again start System Configuration as you did in Steps 1 and 2 above. Choose the Normal startup radio button (on the General tab) and then tap or click on OK.
You'll again be prompted with the same restart your computer question as in Step 6. Choose one option, most likely Restart. Your computer will restart and Windows will start normally... and will continue to do so. MSConfig brings together a powerful collection of system configuration options together in an easy to use, graphical interface. From MSConfig, you can execute fine control over which things load when Windows does, which can prove to be a powerful troubleshooting exercise when your computer isn't working correctly. Many of these options are hidden away in much harder to use administrative tools in Windows, like the Services applet and the Windows Registry. A few clicks in boxes or radio buttons lets you do in a few seconds in MSConfig what would take a very long time in harder to use, and harder to get to, areas in Windows.